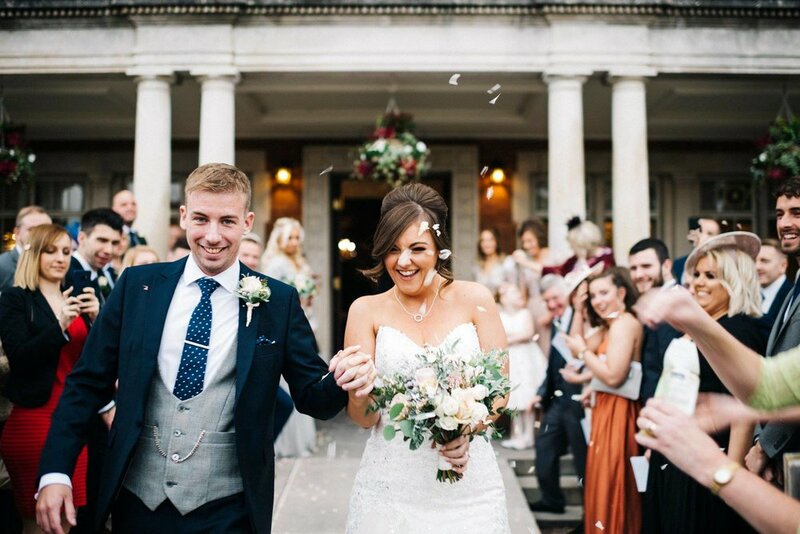 The regional finals of the 2019 Wedding Industry Awards was a closely fought competition. In fact so close the the judges decided we deserved a highly commended award. Absolutely thrilled. We were also finalists in the Little White Books Great Northern Wedding Awards. We are so passionate about all our couples and creating their dream weddings. Come and see what we can do for your wedding…. We don't promise to provide you with the cheapest quote you can find but you will soon realise how passionate and creative we are. What we do promise is that we will give you our 100% time and commitment and we will ensure you receive the very best flowers and design. We are real perfectionists at Flowers With Passion and our attention to detail is what sets us apart from many other florists. We are by your side every step of the way right up to your ceremony, even pinning on buttonholes and corsages. We can also stay for any turnarounds so you know your flowers will be set up perfectly for the wedding breakfast. We have helped over 400 couples realise their dreams with not a single complaint so you can rest assured you are in very safe hands! Firstly, I’d love to meet you so we can discuss your ideas (even if you haven't got any yet!!). I will then work out a proper estimate for you for the things we have discussed. I give you different price options for the flowers you are looking for and I leave you to decide how best you'd like to spend your budget. Hopefully you will decide you like me and book me as your wedding florist! I ask for a 30% non-refundable deposit. Six weeks before the big day we’ll then meet again so we can finalise everything and make any changes or adjustments. I then send an invoice, which is payable two weeks before your wedding. Wedding consultations are held in our shop in Longridge where I can show you lots of different pictures, colours, hire items, ideas and samples. Give me or my lovely hubby Carl (aka flower boy!) a call on 01772 786828 to book your free consultation. The shop is open 9am-5pm Monday to Saturday. Saturday appointments are a bit like gold dust because we are usually out creating our magic for a special couple. So make sure you give us plenty of notice. Below is a very generic price list. Current for 2018. But please do come for a consultation because so much depends on what flowers you choose and what we do with them! You can contact us by email, phone or via Facebook. To make an appointment it is easiest to ring us so we can compare dates and diaries. Or to contact us now please fill in the form below. Tick the box to get all our latest news, promotions and floral tips.